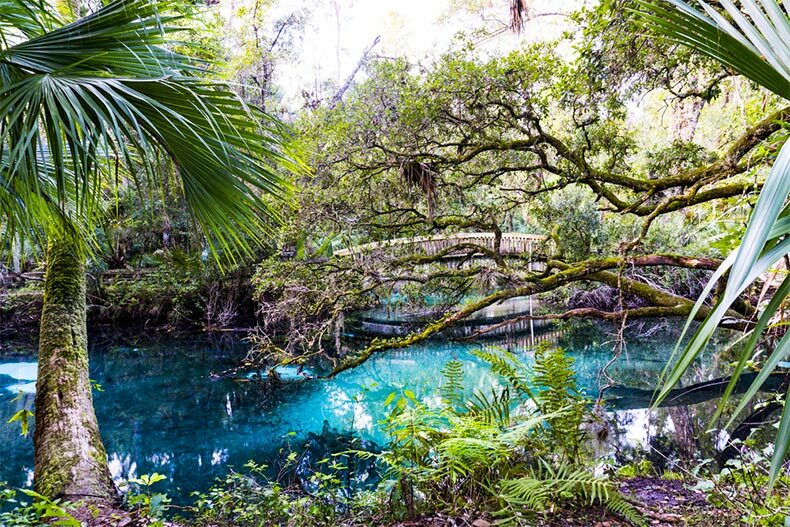 Ocala National Forest is one of the most popular recreation spots in the Florida. Another year of 55 Places' 55 Best 55 Communities means another year of recognition for On Top of the World in Ocala, Florida. While On Top of the World is known for its extensive and unique lifestyle options and plentiful amenities, its location in Central Florida is another huge benefit for active adults. Ocala is about an hour and a half from Tampa to the west and Daytona Beach over on the East Coast. This area is a good example of Florida’s diversity of recreation, the beach isn’t the only place to have fun in the sunshine state. When you’re in Ocala, you can enjoy the outdoors as well as the local shopping and dining scene. If you choose Ocala as your next home, your social and recreational calendar will be packed with lots of local things to do. 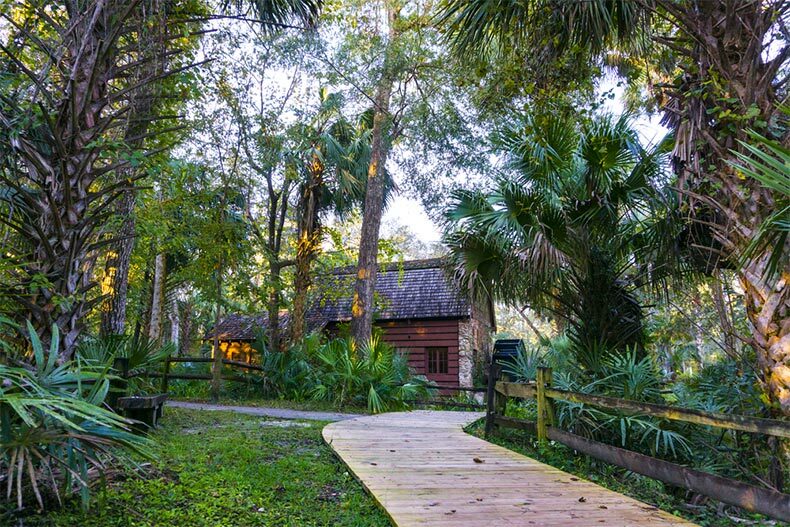 Whether its bird watching, fishing, or kayaking, it can be done in Ocala National Forest. The Ocala National Forest will require more than a one time trip. You can probably spend a year in this wooded natural landmark without seeing everything the forest has to offer. There are countless spaces to enjoy hiking, fishing, bird watching, and photography. There is also kayaking and boating available, and you shouldn’t pass up the chance to spend a summer day soaking in Alexander Springs or Juniper Springs. Check in at the Visitor’s Center for trail maps, travel times, and important seasonal information. 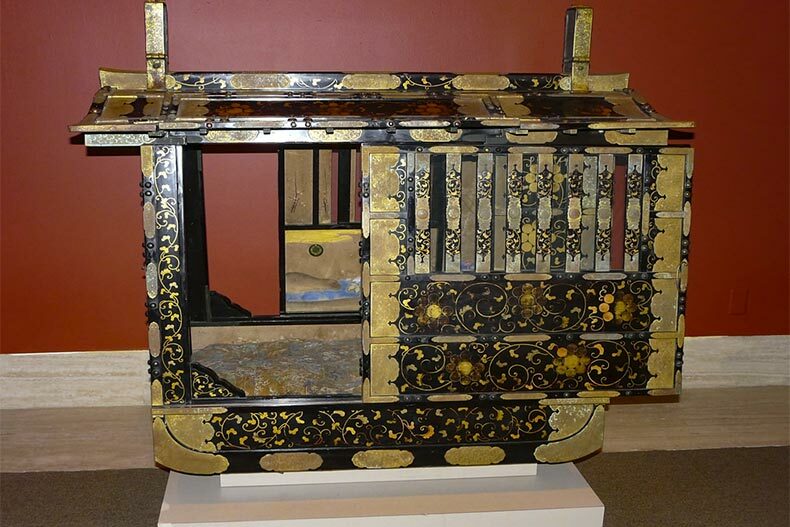 Appleton Museum of Art contains pieces from all across the world, including this transportation option for the nobility of ancient China. Art exhibits, a speaking series, films, and tours are available at the Appleton Museum of Art, or AMA to the locals. There’s a permanent European collection and a number of rotating exhibits, where visitors can see everything from medieval art to modern installations. You will be welcomed by the museum's passionate docents and volunteers, who are always eager to provide you with a thorough tour and any information you may need. Check out their monthly activities, and consider a reasonably priced membership. Downtown Ocala is full of different shops and restaurants. Enjoy history, farmers markets, and Ocala’s small town community feel when you wander through Downtown Square. Holiday lights are a big draw in November and December, and visitors can shop, dine, and socialize in the area’s many cafés, shops, and parks. Vendors line the streets on the first Friday night every month where you can browse their arts and crafts, sample locally made foods, and get to know your neighbors. When the perfect bottle of wine makes your day, you’ll want to visit one of Ocala’s wine bars, or take a tour at the Corkscrew Winery. Enjoy tastings, craft beers, and live music on the weekends. You can take a class in winemaking and wine tasting, and learn how to pair the perfect vintage with the right meals. The wine list is extensive and you can choose an old favorite or sample something new. 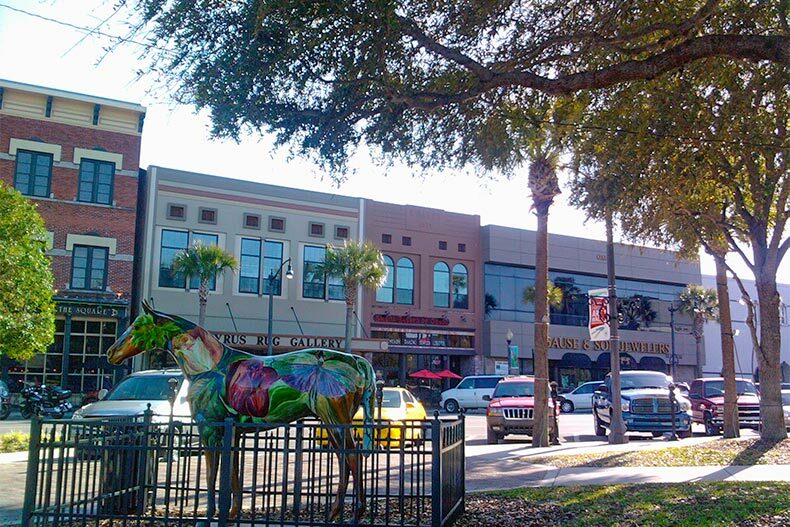 Ocala is horse country, which is easy to infer from the horse statues all over the downtown area. Horseback riding tours are available for all ages and abilities at a number of horse farms in the area, such as Wild West Horse Tours or Cactus Jack’s Trail Rides. Stay close to the stables or take a ride into the woods, where you’re likely to see wildlife and blooming wildflowers. It’s easy to spend a weekend, a month, or an entire lifetime in Ocala. Whether you’re visiting or residing in this central Florida community, you’ll find something you love to do.